SunGlacier succeeded to harvest water out of extreme hot and dry air in the desert of Mali. – powered by solar energy -. General Middendorp, Dutch Chief of Defence, invited the SunGlacier team to perform different tests at UN camp Castor in Gao, Mali. The first results will be unveiled at the press conference, organised by The Dutch Ministry of Defence, on April 25th in The Hague. 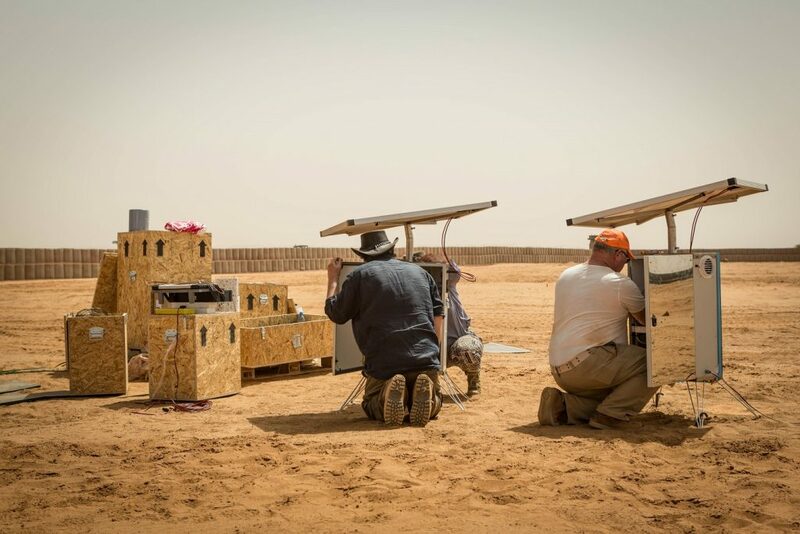 ← SunGlacier DC04: Desert Twins shipped to the Sahara. Very impressive! Sounds better than the idea of the paperclip!